With all of the different options for cars on the market today, it can be difficult to decide which one is right for you. This is especially true in the market for compact SUVs, as there are a lot of choices and brands. That’s why we’ve simplified the matter for you. Here is a breakdown of two of the most popular compact SUVs on the market: the 2017 Toyota RAV4 and the 2017 GMC Terrain. The RAV4 is one of the most popular options in the market for compact SUVs, so it comes as no surprise that there were high expectations for this year’s model. As in years past, Toyota was up for the challenge. 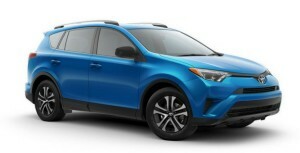 Created with visuals in mind, the new RAV4 is sleek and modern in everything from the front grille to the taillights. As Toyota creates the RAV4 with all types of budgets in mind, there is a wide range of available features in the interior. Just a few of the options in this year’s model are heated seats, dual zone automatic climate control, a leather steering wheel, and a Smart Key System. As for under the hood, drivers are treated to a surprisingly powerful 2.5-liter four-cylinder engine that gets 176 horsepower and up to 31 mpg on the highway. 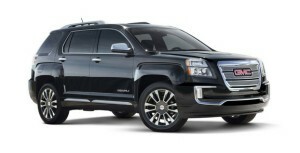 GMC’s compact SUV option, while quality at its core, doesn’t have the same visual appeal as the RAV4. Although it’s a compact option, the Terrain has the boxier, clunkier feel of a full-size SUV with a wide, broad front end. Inside, the Terrain has some good features in the interior, but far fewer. It comes standard with premium cloth seats and a chrome-trimmed gear shifter, along with available features like a 4G Wi-Fi hotspot and upgraded seats that make the Terrain more flexible. As for the engine, the Terrain comes standard with a slightly smaller 2.4-liter I-4 VVT DI engine that gets up to 31 mpg on the highway. 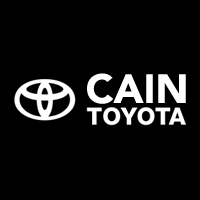 While both options are high-quality choices, the Toyota RAV4 comes out slightly ahead with its long list of available features and its much more attractive exterior.